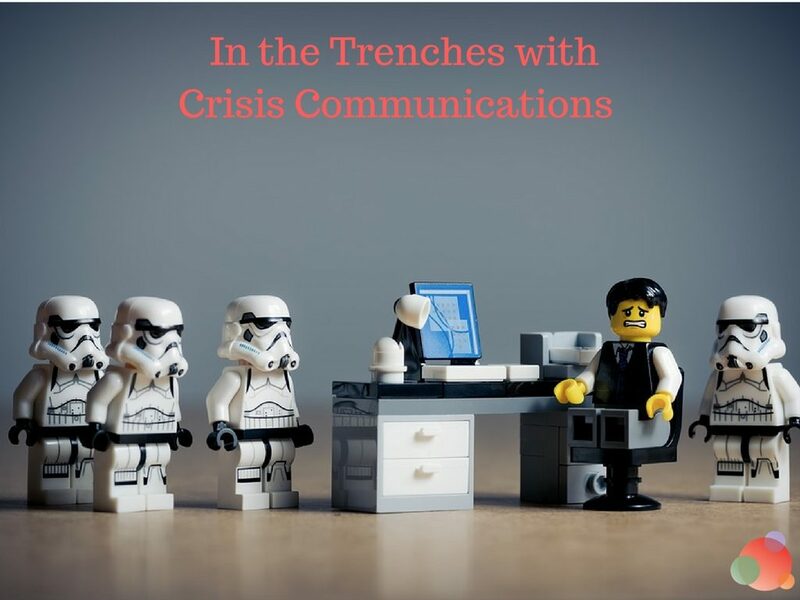 Continuing our series on crisis communications, I have a case study that’s related to the death of Cecil the Lion. If, however, you’ve missed any part of this series, you can find case studies on Crock-Pot, a student that exposed patients to HIV and HepC, the harassment of parents of a child killed at Sandy Hook, and how Machine Guns Vegas took a leadership position after the massacres last fall. Today we’re going to take a look at how Page 1 Solutions had to defend their reputation after a former client killed Cecil the Lion. It was just a regular workday for Dan Goldstein, the president and owner of Page 1 Solutions. He was going about his day working with dentists around the country to manage their marketing. When he suddenly began to see people online connecting his business to Dr. Walter Palmer when the news of the scandal broke. His crisis became theirs…and they had to put a full crisis communications plan in place. An event like this was not on our radar. Our clients are well-educated professionals who typically don’t engage in activities that court controversy. So this story and the crisis that erupted from it took us completely off-guard. Why, on earth, would anyone connect his business to the dentist who killed the beloved animal? You see, Page 1 Solutions, once upon a time, worked with Dr. Palmer. But a few years ago, they parted ways with the dentist, and he went on to work with another marketing and web design firm. However, the new firm never changed the copyright information on Dr. Palmer’s website, so it looked like Page 1 Solutions was still his web firm. And people went after them. The whole guilty by association thing. Except they weren’t…and they hadn’t worked with Dr. Palmer in a couple of years. When the trolls came after them—and they were trolls in this case because they were wrongly accusing a company and its employees—they had to go into crisis communications mode. They very quickly created a dedicated crisis communications team of five employees. Our senior social media specialist spent 100 percent of his time for approximately a week monitoring and responding to comments and contacting Facebook to get false negative reviews removed from our company page. Two employees assisted him in this effort, for a total of approximately 70 hours. 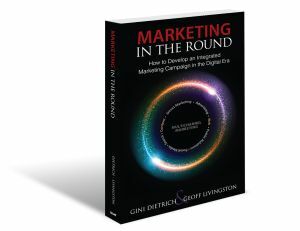 Our content specialist and one of our internet marketing consultants collaborated on the media response. Their research, outreach, and monitoring accounted for approximately 65 hours. Two other managers and I were actively involved in the response and management of the crisis. This included internal communication with employees, external communication with clients and professional contacts, media queries, and more. This required a commitment of 80 hours on our part. All together, that’s approximately 215 hours of work over seven business days. Two hundred and 15 hours of work during the span of a week. Caused by something they weren’t even involved with—and didn’t have a relationship to any longer. This is how quickly something can get out of hand because of the internet, and preparation is key. While this particular instance was not part of their crisis communications plan (and why would it be? ), you very well could be associated with something a vendor or a client does. The threat is very real. That scenario should immediately be added to your crisis communications plan—if it isn’t there already. As things began to rage out of control, Page 1 Solutions crafted a crisis communications strategy fairly quickly. We responded within hours of when our name was first linked to the controversy. However, we could have responded even faster and gotten out in front of the crisis sooner. Ultimately I’m very satisfied with the speed and thoroughness of our response, but the best defense is always a good offense. Monitored and responded to comments, mentions, and fake reviews on their social media profiles, especially Facebook. Most comments centered on dispelling misinformation that Dr. Palmer was still a client of Page 1 Solutions. Performed media outreach using custom collateral (news releases, blog posts) to earn placement in print, broadcasting, and online coverage. Coverage included the use of collateral and interviews with team members. Pursued guest posting opportunities with industry publications such as PR Daily to tell their side of the story. For internal audiences, a direct approach proved very capable of keeping everyone on-message and apprised of the situation. We formed a crisis management team of five employees who worked tirelessly on the response and consistently communicated activities and outcomes to management. Managers were then able to funnel relevant information to the entire staff. He also said it was a great opportunity for his organization to put their money where the mouths are and demonstrate how the strategies they promote to clients works. In the short-term and long-term, the Cecil crisis brought us together as a team. We used social media marketing, online reviews, and reputation management, as well as timely and original web content in our crisis communications execution. Our team members had the opportunity to apply their skills in service to the company, and I am extremely grateful for all of the work they did. To this day our leadership team still fields questions online and at conferences and industry events about the Cecil the lion crisis. We were able to control the narrative with our response, which resulted in a positive long-term effect on our reputation. Though the story of Cecil and Dr. Palmer persisted for a very long time—and even had a Halloween costume that year—the involvement of Page 1 Solutions in the story was brief. After one and a half to two weeks, I’d say things were back to normal. 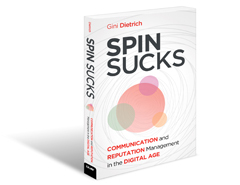 If your business is facing some controversy or crisis, don’t ignore it; it won’t go away. Even if you aren’t at the center of the scandal, your name could be part of the target of the outcry. Guilt by association is very real. Originally, we never anticipated getting caught up in the Cecil situation. We weren’t working with Dr. Palmer anymore, and we expected people to make that connection. When certain members of the public jumped to the wrong conclusion, we knew a fast, clear response was absolutely critical. In times of crisis, it’s important to have a core group with clear ownership and specific responsibilities. Guilt by association is very real. Think about that as you create your crisis communications plan (or build on to it). Every one of us could have a crisis on our hands if someone we work with does something bad. The internet loves to cast stones, and they will find you and expose your relationship. Add this to your crisis communications plan so you are ready.